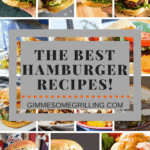 Home » The BEST Hamburger Recipes! 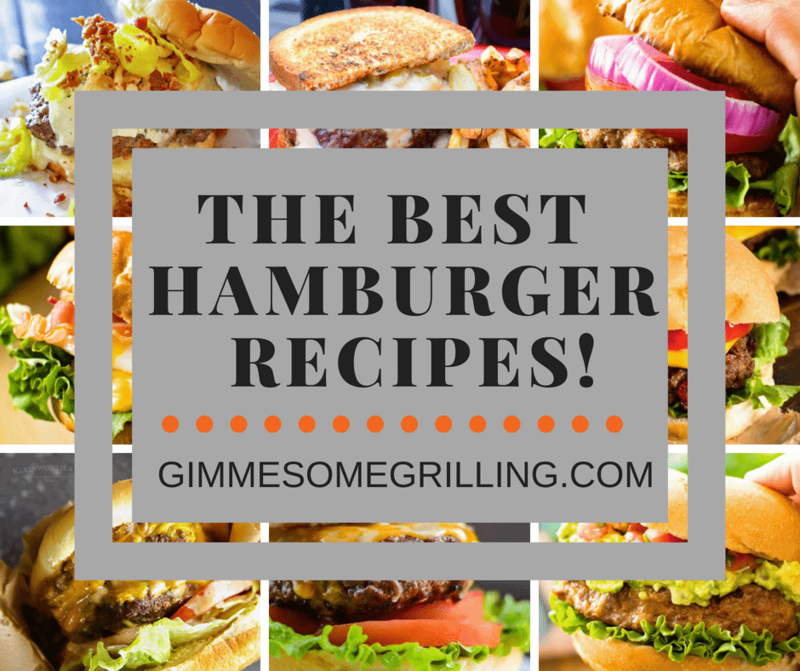 We have rounded up the Best Hamburger Recipes out there and brought them to you! They are loaded with Bacon, Onions, Tomatoes, Jalapenos, Cheese, Eggs and so much more! 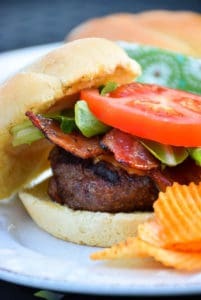 If you are looking to up your Burger Routine grab one of these recipes and make it today! You know you love biting into that perfect, juicy burger! Sometimes, though, you get sick of just a plain burger right? That’s why we are spicing up your game, literally in some recipes, and bringing you hamburger recipes that take it up a notch! 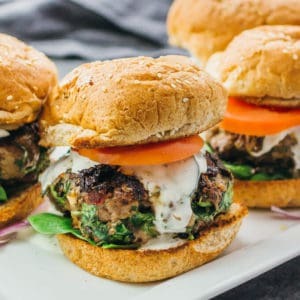 These Hamburger recipes are loaded with the best ingredients and take a whole new meaning on “The Best Hamburger Recipes”. 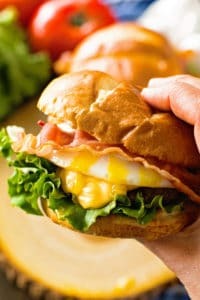 We have hamburgers loaded with tomatoes, onions, cheese, lettuce, eggs, guacamole, pico de gallo, bacon and so much more! 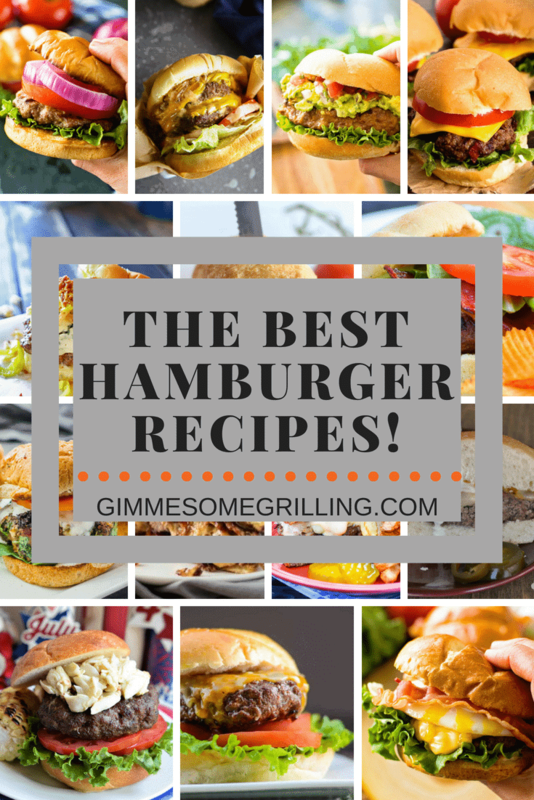 If you can dream it then it’s probably in this round up of the Best Hamburger Recipes! 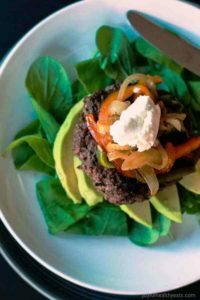 A few simple ingredients take this grilled hamburgers over the top! 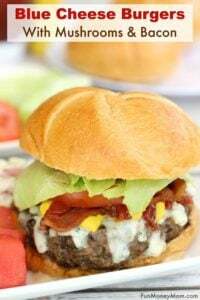 You will get a juicy, delicious burger that I call the BEST Hamburger Recipe around! 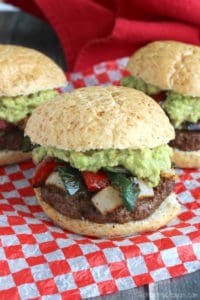 Delicious, juicy hamburgers with a kick from taco seasoning! 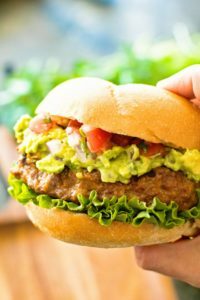 These burgers are piled with homemade guacamole, pico de gallo and lettuce and served on a toasted bun! 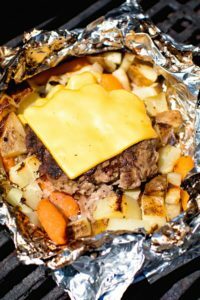 These easy foil packets are a great way to make a quick dinner on the grill! These Cheeseburger Hobo Packets are made with potatoes, carrots and a homemade cheeseburger! Such a simple foil packet recipe and so delicious! 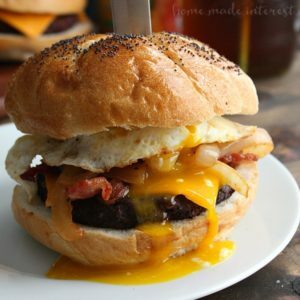 This over the top Cheesy Bacon Burger with Fried Egg is the perfect new way to enjoy a burger! Homemade burger with a fried egg, bacon and cheese on top! 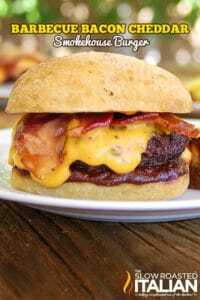 Plump, Juicy Burger with a Hint of Whiskey and Loaded with Bacon and Cheddar Cheese! The Perfect Burger Recipe for Grilling! Freshly Grilled Hamburger Topped with Cheese, BBQ Sauce and an Onion Ring on a Pretzel Bun! Pan-seared Skinny Southwestern Cheeseburgers served on a bed of spicy arugula and topped with BBQ Sauce! Perfectly Grilled Burger Loaded with Italian Seasonings and topped with Mozzarella and Marinara Sauce! 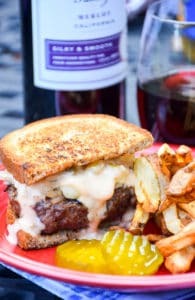 Grilled Reuben Burgers smothered in sauerkraut, Havarti cheese, and Thousand Island dressing sandwiched between toasted buttery rye bread may be a little on the messy side but it’s on the most delicious side of messy! Inside is a spicy, creamy and cheesy filling. It’s like a hidden surprise because you can’t tell it’s in there by looking at the whole burger. 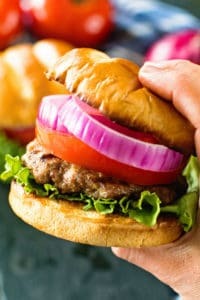 Crunch Onion Burger – Kleinworth & Co.
Summer is the best time to gather ’round & share great food like this Crunchy Onion Burger with family & friends. 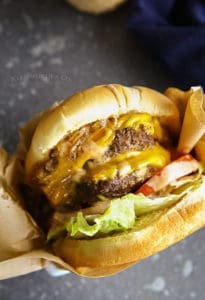 It is a sensationally smoky burger loaded with homemade barbecue sauce and beer cheese sauce you are going to flip your lid over this burger. 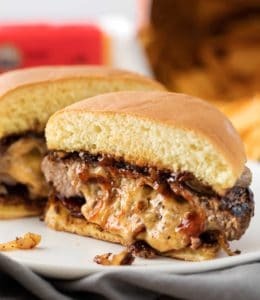 Best Burger Sauce on a Double Caramelized Onion Burger – Kleinworth & Co.
Best Burger Sauce on a Double Caramelized Onion Burger is the best thing you’ll ever eat. Delicious over the top juicy burger loaded with all the good stuff. 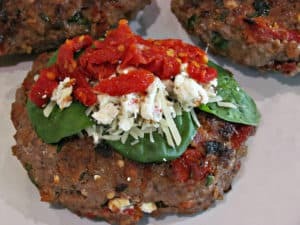 These healthy Greek burgers are made using ground beef mixed with spinach, feta, and sun-dried tomatoes, then drizzled with a delicious tzatziki sauce. 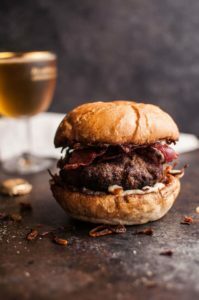 Beef burgers with bacon, horseradish mayo & fried onions are seriously delicious and easy to make. 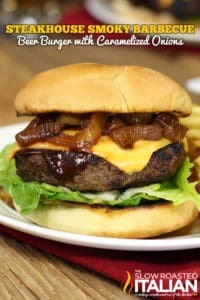 The burgers are a really beefy, steak-like burger prepared with a dark and smoky beer, this one is loaded with beer caramelized onions and your favorite barbecue sauce. This grilled Bacon BBQ Meatloaf Burger is a juicy burger made with a meatloaf base, basted in BBQ sauce and topped with crispy bacon and a fried egg! Today’s phenomenal recipe is a fun and tasty spin on the typical cheese-topped burger. 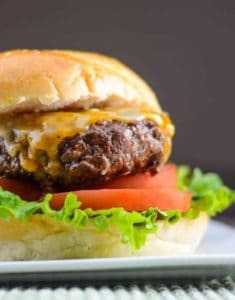 Not your average cheeseburger, this burger is stuffed with caramelized onions and plenty of buttery sharp cheddar cheese! These Asian-inspired burgers received rave reviews from the hubs. Although he thought I could have made them spicier, to me they were spiced just right. 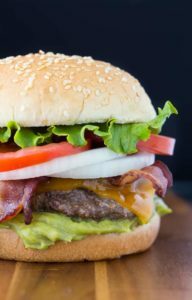 This burger is full of flavor and topped with sharp cheddar cheese, bacon, lettuce and tomato and is the perfect recipe to feed a crowd! 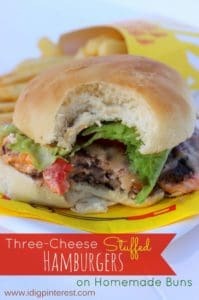 All the peppers, onions, Mexican spices and creamy guacamole you love in fajitas … jam-crammed into one gloriously, deliciously satisfying burger recipe! They’re perfect for your neighborhood cookout or an everyday dinner with the family. 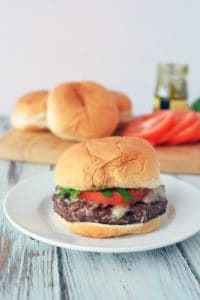 The best burger recipe is one that contains your favorite toppings, of course, but we’d like to think this grilled Italian burger might make your list. I love the combination of the cool ranch with spicy jalapenos minced in it. 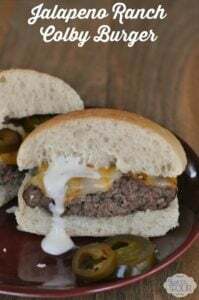 I used pickled jalapenos in the ranch dressing but mixed fresh jalapenos in the burger. 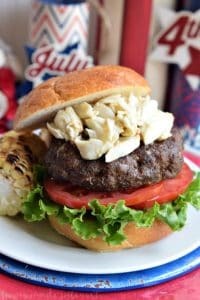 This Chesapeake Crab Burger is a beef patty grilled to perfection then topped with lump crab meat in a flavorful sauce. I have burgers on my mind. 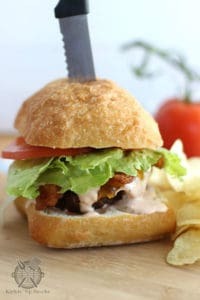 These Chipotle Ranch Burgers pack so much flavor it is insane! 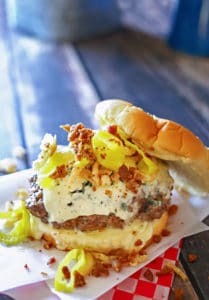 The sweet and salty mixture of the maple bacon, sweet onion, Feta cheese, and parmesan cheese takes this burger a whole new level. I promise you won’t even miss the bun.